Exploration and outdoor experiences in the Great Smoky Mountains. Challenge yourself and view the raw beauty of the Smokies like most folks never get to experience. 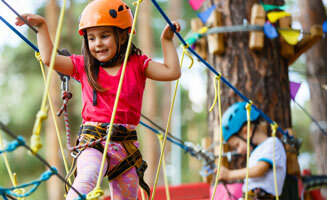 The Adventure Park at Five Oaks offers fun for the entire family! 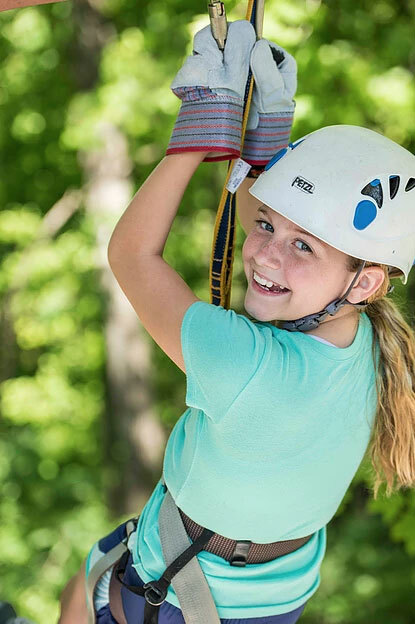 Our experienced zipline guides will take you a fun and thrilling ride through and above 70 acres of beautiful fall foliage. 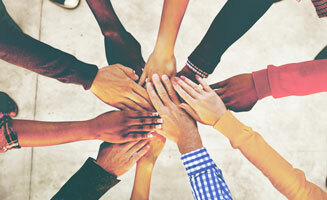 No experience is needed. Book today for an adventure your family will never forget! 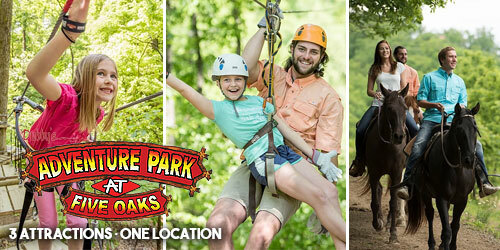 Whether you want to Horseback Ride, Zipline, or challenge YOUR adrenaline on our BRAND NEW for 2014 ropes course, there is exciting fun for everyone. 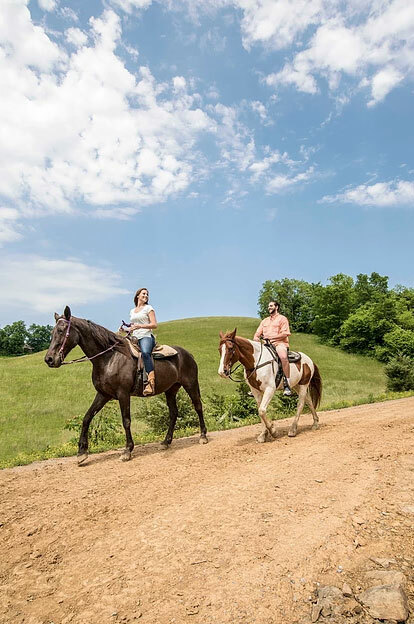 Saddle up like a pioneer and explore over 70 acres worth of beautiful trees and foliage on a guided HORSEBACK RIDE. Our knowledgeable staff and well-trained horses will ensure a safe, but fun adventure. If you desire a more thrilling adventure, the Canopy ZIPLINE TOUR is for you! Our experienced zipline guides will take you on a fun and thrilling ride through and above 70 acres of lush forest. No experience is needed. With 50 obstacles down our 7 exciting lines, saddle up your horse and ride our pioneer trails. 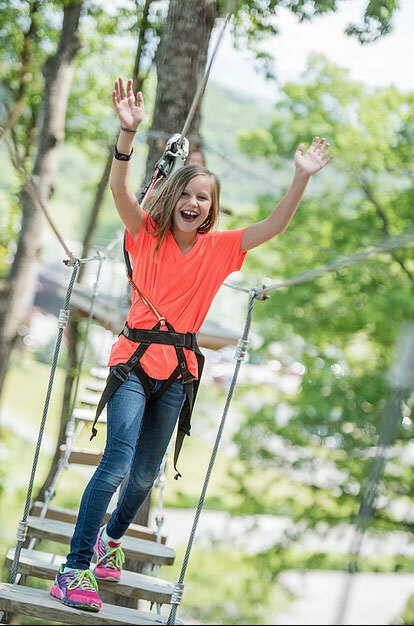 All this fun is located on 70 acres of beautiful trees, streams, and gorgeous mountain scenes. Our guided Horseback Rides are a great way to see the mounatians like the pioneers.